Apple likes to say the future of television is apps, but what do you do when you’ve had enough apps and want to turn off your Apple TV? There is no shortage of ways to turn your Apple TV off when you want to rest it for a while. Unless you disconnect it from power, your Apple TV never truly switches off. It enters a low-power sleep mode. If you are concerned about conserving power, be comforted by the knowledge that the device draws just 0.3-watts of power in this mode. It costs only a couple of dollars of electricity per year when it is left in this mode, although the cost rises to about $5 annually if you use it 24/7. These estimated costs vary depending on location and energy supplier, but they are universally low. The low power requirement of the Apple TV reflects consistent attempts by Apple to improve energy efficiency across all its products. The newer model Apple TV consumes less than 10 percent of the power required by the first generation product, according to Apple’s Environmental Report. You’ll save the cost of running the device by replacing one incandescent 60-watt light bulb with a LED equivalent. Press and hold the Home button on the Apple TV remote control for about three seconds. Its the button that looks like a TV display. You are presented with the Sleep Now dialog screen. Tap Sleep to switch off the Apple TV or tap Cancel to continue using the system. Alternatively, you can climb out of your sofa and switch the TV off manually, or use the TV remote control to turn the receiver off. The Apple TV automatically falls asleep after being left unused for a preset period. You can control how long your Apple TV remains active when it is left unused. To change the delay before it automatically sleeps, go to Settings > General > Sleep After on the Apple TV and set the time you prefer. Select from: Never, 15 minutes, 30 minutes, 1 hour, 5 hours, or 10 hours. You can also switch off your Apple TV using the Settings app on the Apple TV. Use the remote control to go to Settings > Sleep Now. If you have the Apple TV Remote app installed on your iPad or iPhone, and you have it paired with your Apple TV, you can use the iOS device to switch off the Apple TV. Press and hold the Home button icon in the Remote app to bring up the Sleep Now screen. Press Sleep. As a last resort and when you have no other way available to you, you can switch off the Apple TV by disconnecting it from its power source. When your Apple TV is sleeping, it’s easy to turn it once again. All that you need to do is grab the Siri Remote and press any button. 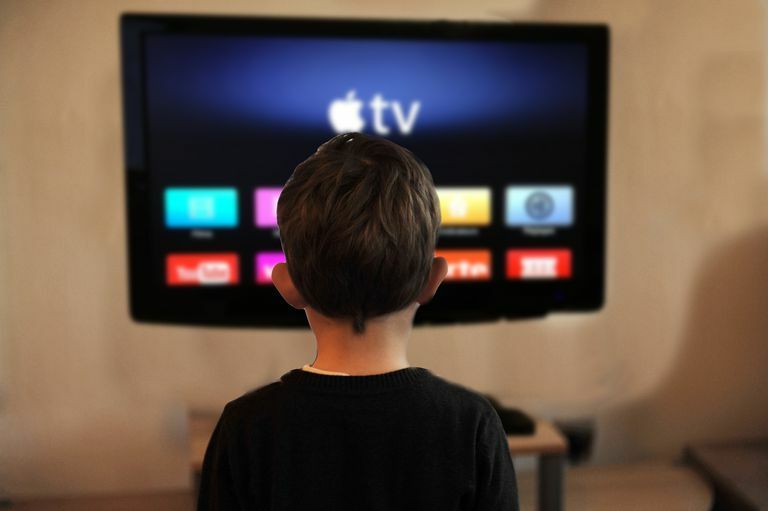 The Apple TV wakes up and so will most TV sets you choose to use it with. Open Settings > Remotes and Devices and enable or disable the Controls TVs and Receivers item to control this behavior. You can also set volume control within this setting.